Mr. Singer currently serves as Executive Vice President for Hunt Companies, Inc. In this role, Mr. Singer is responsible for identifying, negotiating, structuring and managing strategic opportunities for Hunt and its affiliates. He serves on the Hunt Companies Inc. finance and executive committees and on the board of several Hunt affiliates. Mr. Singer has more than 30 years’ experience in the financial services industry, including senior roles in fixed income capital markets, real estate finance, and investment management. Mr. Martin is Chief Executive Officer of VINCI Concessions North America. Mr. Martin joined the VINCI Group in 2004 as Senior Executive VP in charge of Africa until 2014, when he became VP Business Development & Finance at VINCI Construction International Network (Europe – Africa – Asia). He joined VINCI Concessions in 2017 in charge of North America and is located in Miami, FL. Prior to joining VINCI, he was Large Project Manager/Branch VP with two French companies for 14 years before spending 4 years as Deputy CEO with GRE Group. Mr. Martin is a civil/road engineering graduate of INSA France. John McArthur has degrees in Urban Planning and Landscape Architecture. After practicing these professions for some time, he took a career turn in 1990 when he joined a major real estate development company as Vice President of Development. In this role he was responsible for major projects across Canada. He has been a member of senior management in engineering and construction companies as well as president of a Project Management firm, and prior to joining Kiewit, President of Bilfinger Project Investments in North America. 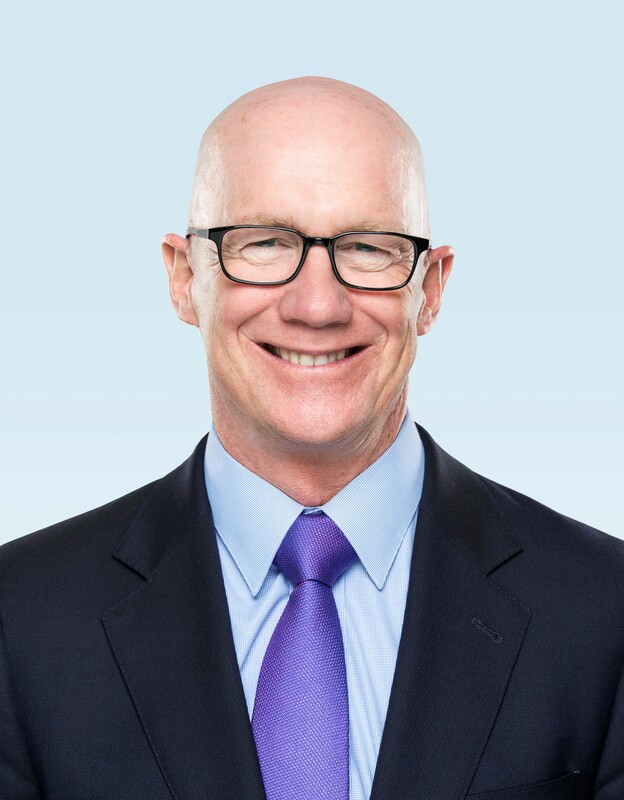 When he joined Bilfinger he established offices in Toronto and Vancouver and over the course of 8 years built an organization that was the leader both within Bilfinger and in North America in terms of projects completed in capital value at over $4 Billion in the P3 infrastructure space. These projects included Golden Ears Bridge, Kicking Horse Pass, North East Stoney Trail, North West Anthony Henday, Kelowna and Vernon Hospitals, and Women’s College Hospital. McArthur is experienced and knowledgeable at all levels of organizational dynamics as well as development, finance, design and construction of major infrastructure projects ranging in size from below $100M to above $1B. In October 2011 Mr. McArthur joined the Kiewit organization as President of Kiewit Development Company. He is responsible for the company’s equity investments in infrastructure in the context of the P3 delivery model for infrastructure throughout North America. He is a Board member of the Canadian Council for Public Private Partnerships (CCPPP), and is Secretary Treasurer of the newly formed Association for the Improvement of American Infrastructure (AIAI). He is a past Non-executive Board member of Bilfinger Berger Civil Construction in Canada, and a former member of the Management Executive of Bilfinger Project Investments globally. William A. Marino, Founder of Star America and Managing Partner of Star America Infrastructure Partners, LLC began his career in the surety field where he discovered his passion for construction insurance and bonding. Bill founded Allied North America, a “construction only” brokerage in 1979, laying the foundation for what developed into the largest private construction surety and insurance brokerage in the US. He sold his organization to Aon in 2009. Star America was founded as a result of his vision to offer a financial services organization with deep seated industry knowledge and an innate ability to create joint venture and M & A opportunities and a strong vehicle for investing into America’s infrastructure. Terence Easton is President of the global Infrastructure business line for Fluor Corporation. He is responsible for driving global growth and performance across various markets including alternative energy, aviation, bridges, commercial and institutional, ports and marine terminals, rail and transit, telecommunications, and toll roads and highways. Previously, Mr. Easton served as vice president of global Infrastructure sales, overseeing Fluor’s sales, marketing and business development for infrastructure projects worldwide. He has 25 years of experience leading sales for Fluor and managing project execution in the transportation, nuclear, liquefied natural gas, oil and gas, and chemicals markets. He has held numerous executive level positions with Fluor, including serving as vice president of business development for energy & chemicals, being responsible for sales and marketing in the western United States, as well leading the global downstream market team. Before joining the energy & chemicals business line, Mr. Easton was named as the corporate director of commercial strategy executing the company’s core values, vision and purpose across the spectrum of industries and geographies Fluor serves. Currently, Mr. Easton serves as the president of the Association for the Improvement of American Infrastructure (AIAI), is a board member of the Construction Industry Safety Initiative (CISI) and The Beavers industry group. He is an active member in the Construction Industry Roundtable and a member of the Infrastructure Initiatives Committee for the World Economic Forum. Nuria Haltiwanger is the Chief Executive Officer for ACS Infrastructure Development and ACS Infrastructure Canada, the North American equity investment, financing and long-term operations and maintenance subsidiaries of the ACS Group, focused on developing and operating infrastructure projects in North America via alternative procurement methods, such as public-private partnership (PPP) and design-build-finance (DBF). She is a member of the Board of Directors of ACS Infrastructure as well as each of the various subsidiaries executing the North American projects. ACS Group is a leading international infrastructure development and construction company with a presence in 61 countries and annual net sales in 2016 of approximately $35 billion. ACS Group leads the ranking of major global concession groups as the “World’s Largest Transportation Developer” by Public Works Financing and is currently ranked #1 on the Engineering News Record 2016 Top 250 International Contractors. Some of the construction firms owned by ACS Group which are established and based across America include Dragados USA, Turner Construction, and Flatiron Construction, as well as regional contractors: Prince Contracting in Florida, Pulice Construction in Arizona, J.F. White Contracting in Massachusetts, and both Schiavone Construction and John P. Picone in the New York/New Jersey Metropolitan Area. Under Ms. Haltiwanger’s direction, ACS Infrastructure has solidified its position as a market leader in PPP/DBF projects in North America, with a current portfolio of 14 PPP projects totaling approximately $20 billion, including Florida’s $1.7 Billion I-595 Express Project, which was the first availability payment-based PPP project in the U.S. and which has been successfully operating for three years. ACS Infrastructure’s U.S. portfolio also includes, the $1.1 Billion SH-288 Toll Lanes Project and $700 Million Harbor Bridge Project (both in Texas), the $557 Million Portsmouth Bypass Project in Ohio (the first PPP project for the Ohio Department of Transportation), the Angels Flight Project in Los Angeles, California (the City of LA’s first PPP project), and the Pre-Development Agreement for the Mid-Currituck Bridge in North Carolina. In addition to the U.S. projects, Ms. Haltiwanger also oversees ACS Infrastructure’s Canadian portfolio, which includes 10 major PPP transportation projects, including the CAD $5.5 Billion Eglinton Crosstown Light Rail Project in Toronto (one of the largest Canadian PPP projects in history). Ms. Haltiwanger joined ACS Infrastructure in 2009, where she acted as General Counsel and Senior Vice President in North America, overseeing the legal and commercial risk assessment and management of the companies. Prior to joining ACS Infrastructure, she worked in project finance with a focus on concession-based infrastructure, as well as energy (including renewable energy) projects, the financing of hydro-electric facilities, coal-fired and gas-fired power plants, liquid natural gas facilities, wind farms and ethanol facilities, as well as merger and acquisition transactions. Ms. Haltiwanger was born in Georgia and earned her Juris Doctorate at Georgetown University Law Center, and BAs in Economics, International Studies and Political Science from the University of Miami. For more information about ACS Group, please visit our website. Gregory A. Kelly, P.E., is a member of WSP’s Senior Executive Team responsible for global operations, policy and direction for an engineering and professional services organization of 36,000 employees in more than 500 offices in 40 countries. As chief executive officer of the USA and Latin America region of WSP, Mr. Kelly directs the operations of the firm in the United States and Latin America, overseeing a workforce of 8,000 employees and nearly US $2 billion in annual revenue. The firm is active on hundreds of projects in the region, across the transportation & infrastructure, buildings, energy, water and environment end markets. In this role, he has aggressively pushed sharing expertise across the company that has enabled WSP USA to execute all types of projects in any region of the country. Greg led WSP USA in exploring how to best implement alternative project delivery methods. As a result, WSP USA has successfully secured work with partners across the U.S. He also led the efforts to streamline the company’s business processes, creating a unified set of practices that increase efficiency. Active in the infrastructure services industry, Mr. Kelly frequently speaks on engineering and construction issues and participates on the executive boards of many leading industry organizations. Greg has testified before Congressional committees on public-private partnerships, gave the keynote address at the conference on American infrastructure at the Brookings Institution, and is a frequent speaker at the Eno Foundation Senior Executive Program in Washington, DC. In May 2017, Mr. Kelly was the commencement speaker for the Temple University College of Engineering. He has also been a guest lecturer on a number of topics including leadership, ethics and infrastructure delivery at Temple University, Stanford, NJIT and Pratt Institute. Mr. Kelly is currently the Treasurer of the New York Building Congress, Chairman of the Salvadori Center, which focuses on STEM education for New York City schools, Chairman of the March of Dimes Transportation & Construction Industry Breakfast and a member of the Philadelphia Chamber CEO Council for Growth. He also serves on the following boards: Advisory Board of NYU School of Engineering and the Board of Visitors for the Engineering School at Temple University. Additionally, Mr. Kelly is a member of the National Academy of Construction (NAC) and The Moles, one of the most prestigious organizations for the heavy construction industry. He is Chairman of the Design Professionals Coalition, a Board Member of the Association for the Improvement of Americas Infrastructure (AIAI) and a member of the Construction Industry Roundtable (CIRT). Belen Marcos is the United States President of Cintra, a global leader in transportation infrastructure development with U.S. headquarters in Austin, Texas. As president, Ms. Marcos is responsible for leading Cintra’s U.S. operations, which includes nearly $8 billion in infrastructure projects and investments. Ms. Marcos began her career in the Business Development Department at Cintra’s corporate offices in Madrid, Spain. She then went on to hold the leadership positions of Chief Operating Officer for the Chicago Skyway in Chicago, Illinois, and Chief Information Officer for the Indiana Toll Road in Granger, Indiana. Ms. Marcos earned a master’s degree in Civil Engineering from Universitat Politècnica de València in Spain and a master’s degree in Transportation Infrastructure from Ecole Nationale des Ponts et Chaussées in France. Anthony Phillips has over 15 years’ experience in Infrastructure Investment in North America, Europe and Asia Pacific, in many instances taking leading roles in consortiums during the tendering and financial close process. During this time, he has been based in London and Sydney before relocating to the USA in 2014. Anthony leads a large team of Infrastructure Investment specialists based across North America focused upon delivering major Transportation, Environmental, Social and Communications Infrastructure. Prior to establishing John Laing’s USA offices in New York and Los Angeles, Anthony successfully led John Laing’s entry into the Australia and New Zealand P3 markets securing multiple projects. He has in-depth experience in roads, rail, social, broadband, water and waste management, and renewable energy. Anthony joined John Laing in 2005 and leads the North American team from Los Angeles. Building upon John Laing’s successful long term involvement in the North American P3 market, Anthony has responsibility for all development and transaction execution activities in the region.